This beautiful wine glass is decorated using premium glitter. 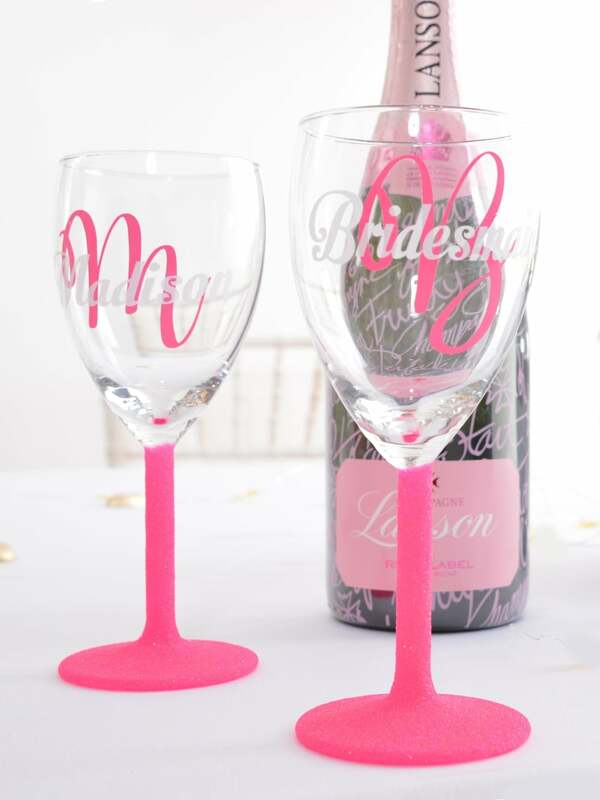 After glittering the stem with your choice of glitter we decorate the front of the glass with a vinyl decal with the letter matching the stem colour. You can personalise your glass by choosing which letter and word you would like on the front of the glass. Please note this product is not dishwasher safe and should be wiped clean.